I wasn’t too cold last night but the tent was soaked with condensation when I woke up early. I snuggled down and went back to sleep, waking 2nd time around to some sunshine. I wasn’t sure whether I was going to move on today or not – I was flexible – so I left my tent up to dry, packed light, and headed down to the harbour. After a quick coffee (and blog) stop on the way I arrived in time for the first boat to Caldey Island. It was packed with elderly people on a coach holiday and it took ages to get them all on board. The sun was shining and the sky mostly blue. I had a good opportunity to see where I walked yesterday and admire the views I had been missing. 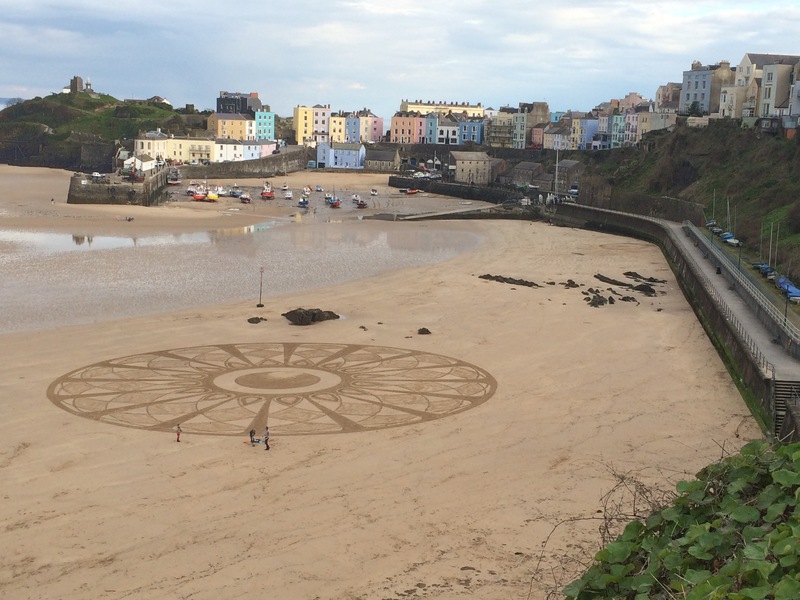 Tenby is really well situated with golden beaches and lovely views; no wonder it is such a popular holiday destination. 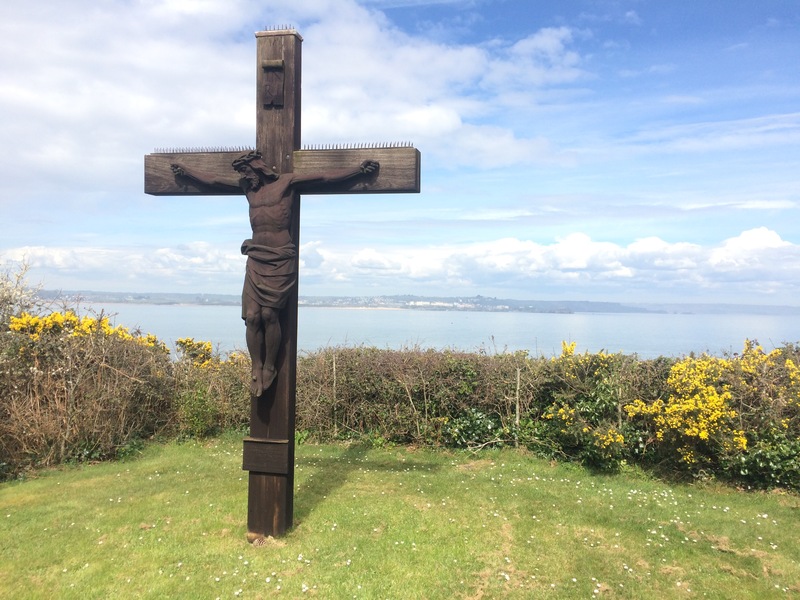 Caldey Island had a lovely, tranquil feel to it, which I think was down to the lack of children. Aside from the monks there is a permanent community of about 20 adult residents, and then there is an almost daily invasion of tourists. 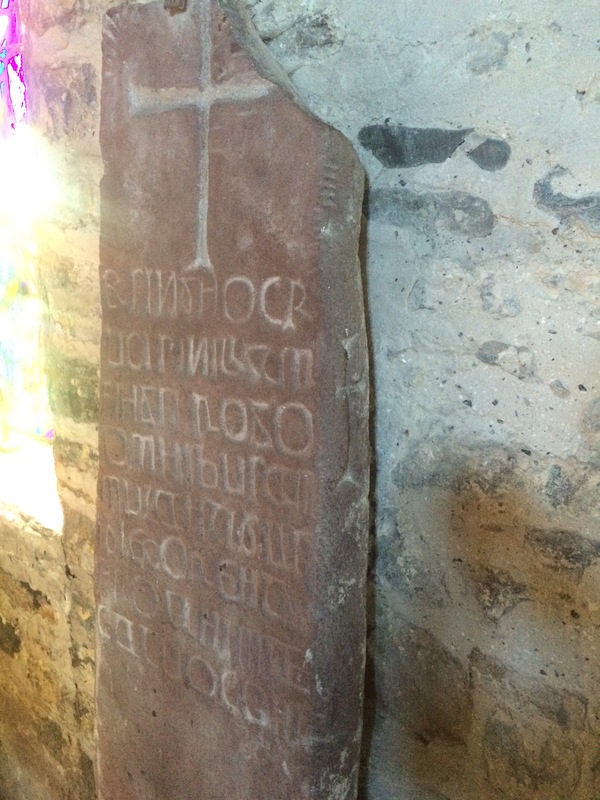 The first monastery on Caldey Island was founded in the 6th Century by monks from Illtud’s monastery in Llantwit Major, Glamorgan. 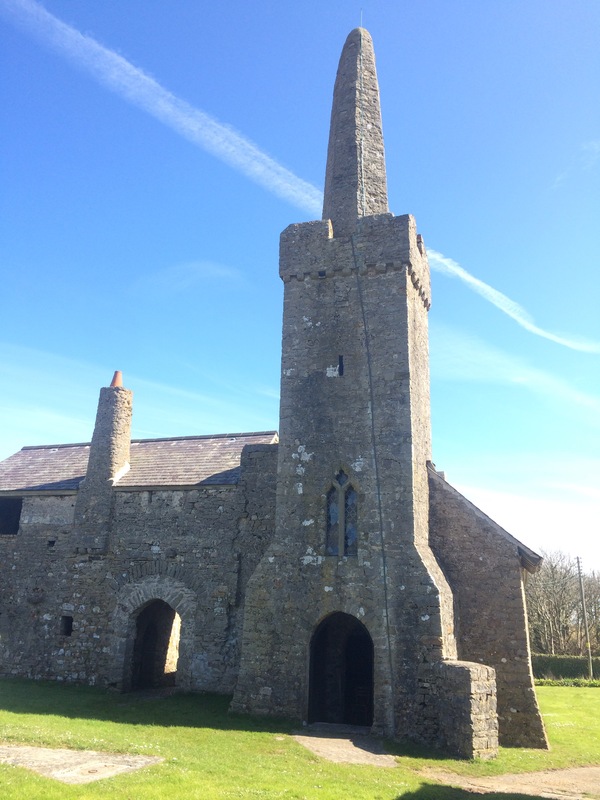 From the 12th Century until The dissolution of the monasteries in 1536, the Island was home to a Benedictine Priory, an off-shoot of St Dogmaels Abbey in Cardigan. 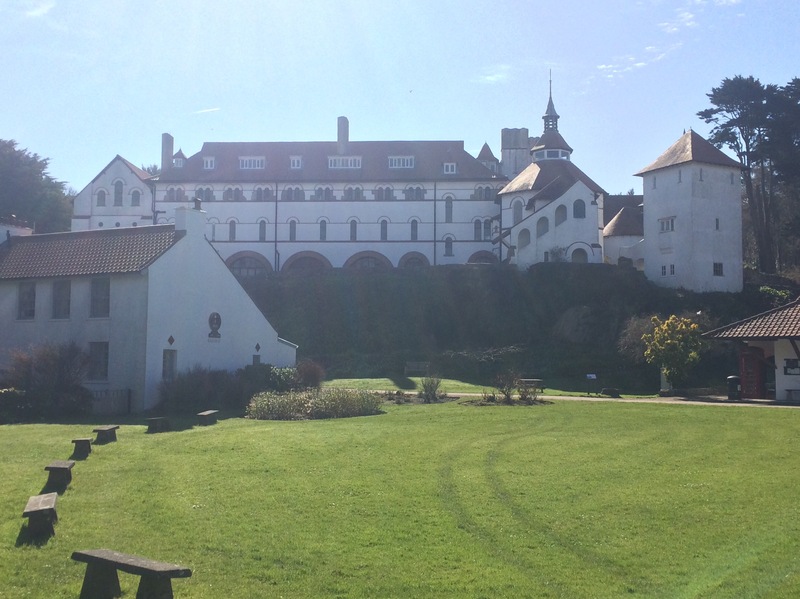 Monks did not return to Caldey until the start of the 20th Century. In 1928 the Abbey was handed over to the Cistercian Order of monks and they still live there and contribute to island life. 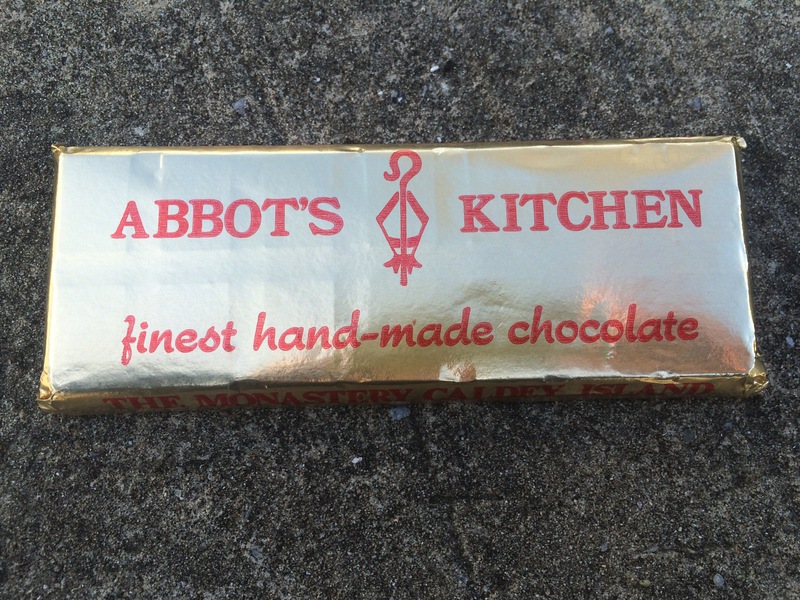 I had a quick chat with one of the brothers in the Post office/museum, where I bought a bar of chocolate made by the monks for my breakfast (they also make perfume but I didn’t try any). breakfast, and very nice it was too! The tiny village sits in a sheltered, wooded valley and is dominated by the huge Abbey. It is like a pretend village catering for tourists with a post office, museum, gift shop, tea room and perfume shop. I don’t think much has changed for a century. I walked around the Island, enjoying the views. I saw plenty of gulls, skylarks and a raft of razorbills. 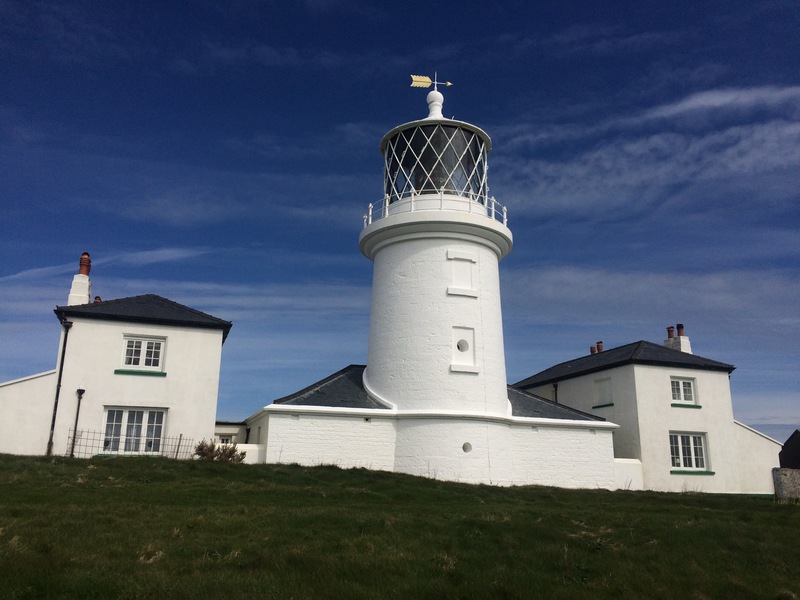 Chapel Point Lighthouse is on the highest point of Caldey and has great views all the way from Worm’s Head, the Gower, to St Govan’s Head. 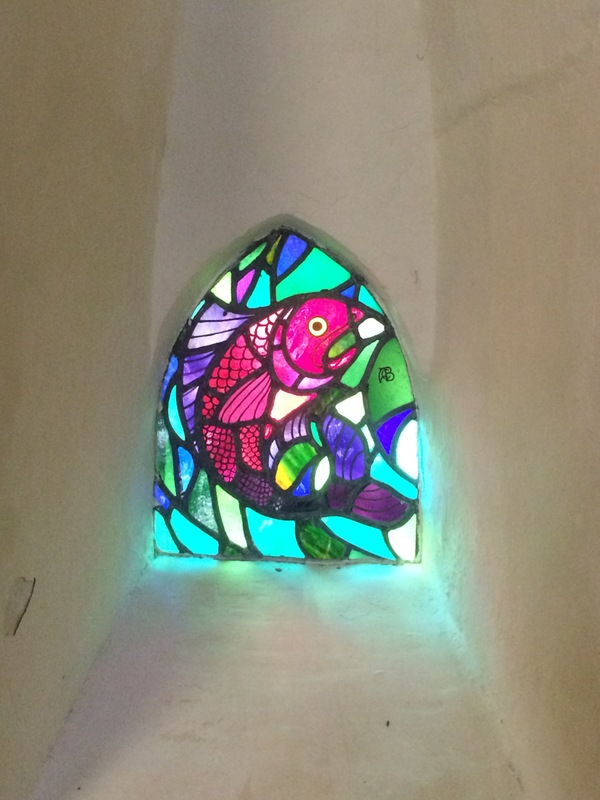 I popped into the ancient ruin of St Illtud’s Church to see The Caldey Stone and also into St David’s parish church to admire the stained glass windows. On my way back to the boat I nipped up the hill to the Calvey that can be seen from Tenby. 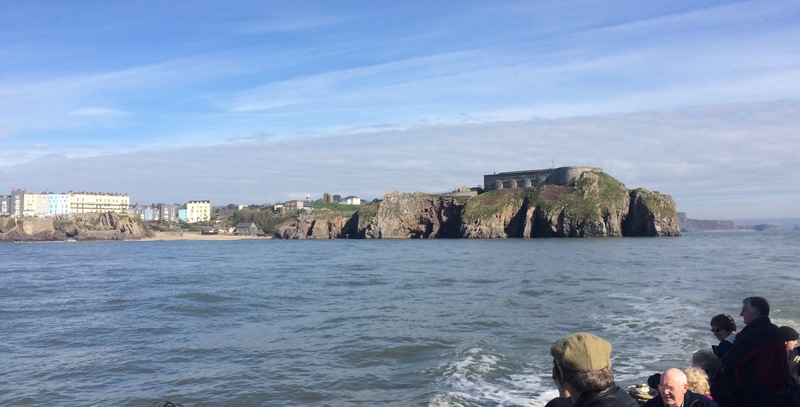 Arriving back in Tenby after 2 pm I went for a late lunch and languished in a cafe reading a newspaper. I decided it wasn’t worth moving on today so I chilled out instead. I walked back up to my favourite spot on Castle Hill and sat listening to the waves and the gulls. the tide didn’t leave that design behind! Eventually I headed back to the campsite for a shower and back into town for some dinner. Someone had been hard at work creating a design in the sand. 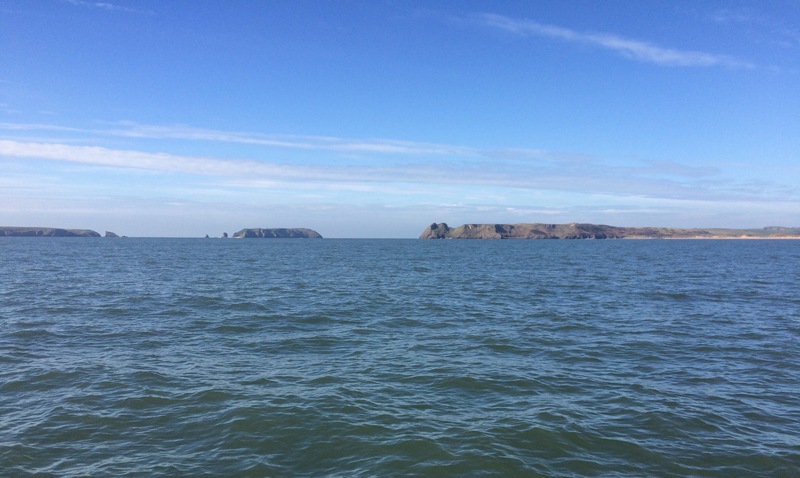 Next Article Day 256 From Pembrokeshire to Carmarthenshire – the Need for Speed! Thank-you for the lighthouse! It looks in tip top condition. I hope the weather stays kind for your onward journey. Hi Lucy – Sorry about the mouse – sorted now! Could you give us a ring/e-mail soonest please. Speak soon. 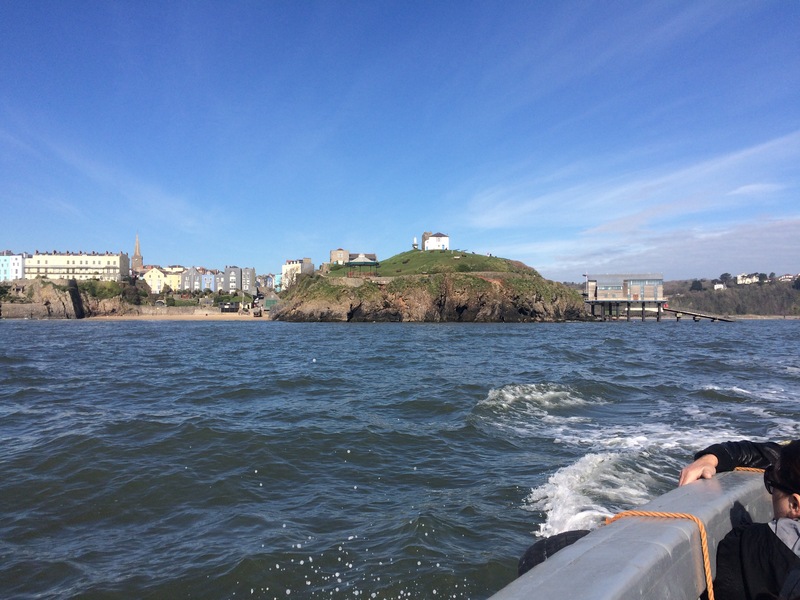 We didn’t make it to Caldey island – weather was usually too bad for the boat to run! Just north of Tenby before you get to Saundersfoot is Monkstone. At high tide it’s a little stump if a beach – at low tide one of the loveliest beaches I’ve ever been to. Lots of golden sand, fabulous rock pools and caves, virtually deserted as I believe you can only get to it via Trevayne Farm campsite (where we stayed) of by walking along the beach at low tide. Hope you see it when the sea is out! I liked Monkstone, although a grey day and the tide quite far in. Saw your campsite. Really liked Tenby. 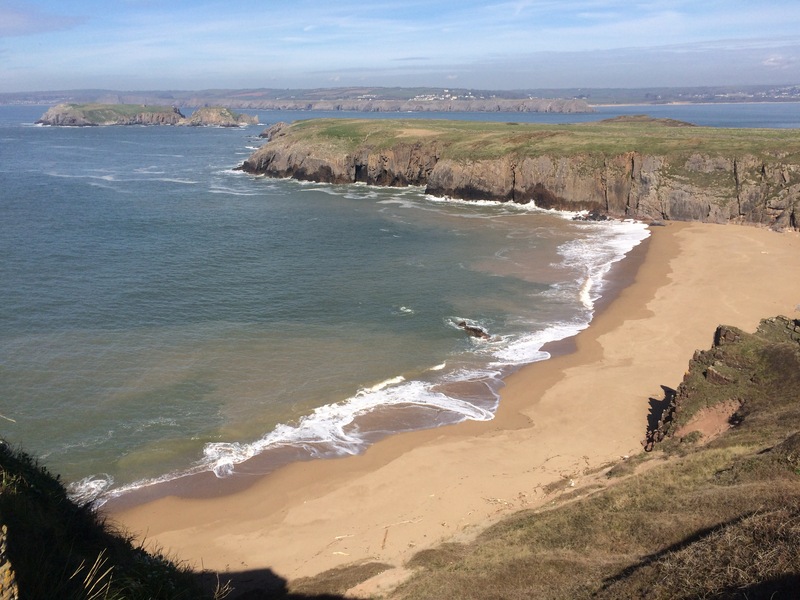 Caldey island has a lovely beach too – I recommend it. All pensioners together then eh Juice? 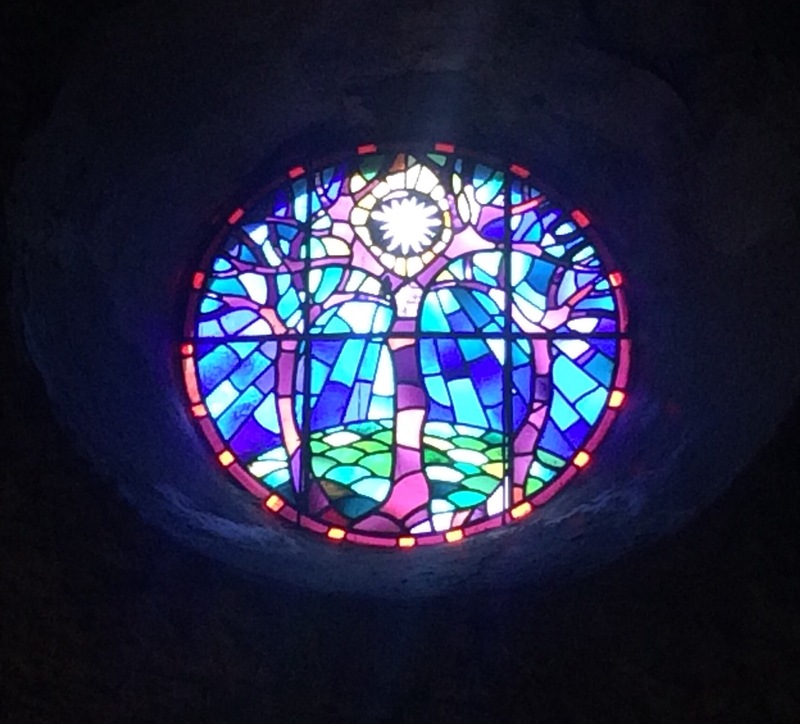 As always brilliantly informative blog with beautiful pics, I remember going to the island as a little boy (a very long time ago), the monks sold Mead to the tourists then, obviously chocolate and perfume are much more lucrative. Well done Juice……on on Marshal of the Air(Retd).